April is FLYING by and we’re already fast-approaching Easter weekend. 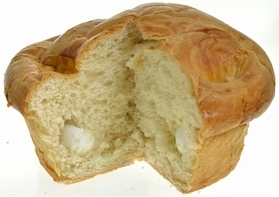 If you are planning on having a some traditional Portuguese sweetbread on your brunch buffet next weekend, this is your final reminder that orders shipping to the eastern half of the country need to be placed by Monday morning at 8 a.m. to arrive to you in time for Easter. 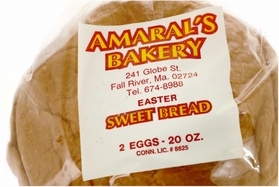 Amaral’s Bakery located in Fall River MA produces the best sweetbread using the freshest ingredients! 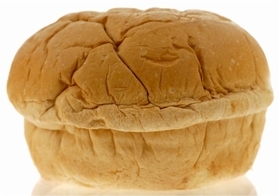 This loaf contains 2 hard-boiled eggs. This pack includes six individual sized Mini Easter Sweetbreads! 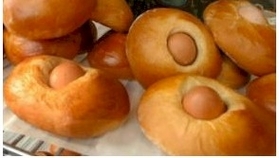 Each is made with one hard boiled egg baked in each mini loaf. 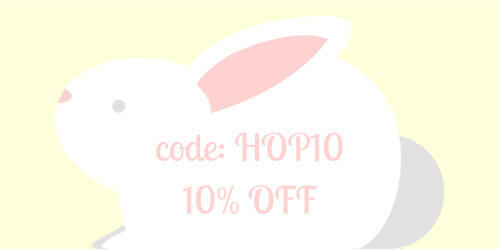 This Easter favorite is back! On sale now for $13.99. Please note special shipping requirements of products like Drakes, Amaral’s, Peggy Lawton, and Town Talk. We are not responsible for delays in shipping due to inclement weather. Please note that there are some items that are special order or only ship on certain days of the week to ensure freshness that may not be able to arrive in time for the holiday. If you have any questions, please reach out to us via email at CustomerCare@FamousFoods.com, by phone at 1-866-646-4266 or FB message! Yahoo! 5 star top service ranking!